I’m a sucker for pie. Given the opportunity, I’ll stand on my soapbox and scream, “I love pie”. One of the few things I don’t love about pie is when the crust gives me heartburn from being so high in fat. I prefer to make most of my food at home but making pastry is time-consuming. So I love pie, I want to eat pie crusts but I want one that won’t give me heartburn or take an hour to make. I’ve been toying with the idea of a healthier version of a pie crust. How do I make it taste good and cut out some lard or shortening of a store-bought crust without adding too much time and effort in the kitchen? 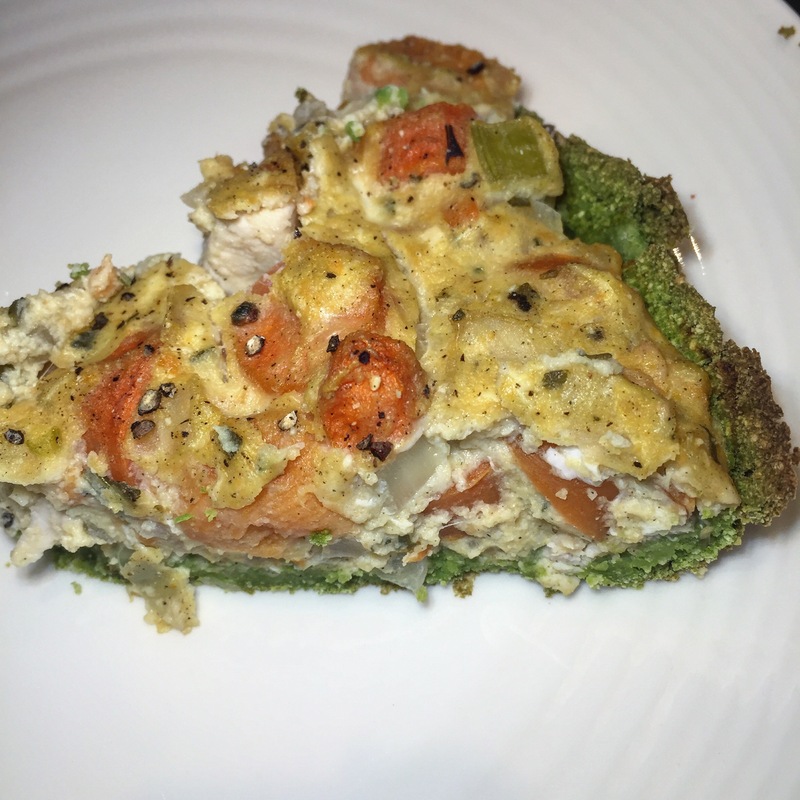 Peas and flour combined together just right can make a really good pie crust adding fibre and protein to your meal while reducing calories and saturated fat. -Boil 2 cups of frozen peas for 3-4 minutes. -Strain peas and put into blender or food processor with 2 tsp olive oil and a dash of pepper. -Puree to a soft, smooth consistency. -Put puree in mixing bowl and add 3 tablespoons of coconut flour (or 4 tablespoons of any other flour). -Mix together until the dough is thick and sticks together. If it isn’t thick add 1 tsp flour at a time until the dough is thick enough to hold itself together in a ball, in the bowl. -Use a spatula to spread your pea dough into a pie pan. -Poke a few holes in pie crust with a fork to prevent it from bubbling while cooking, a pie crust weight will also work. 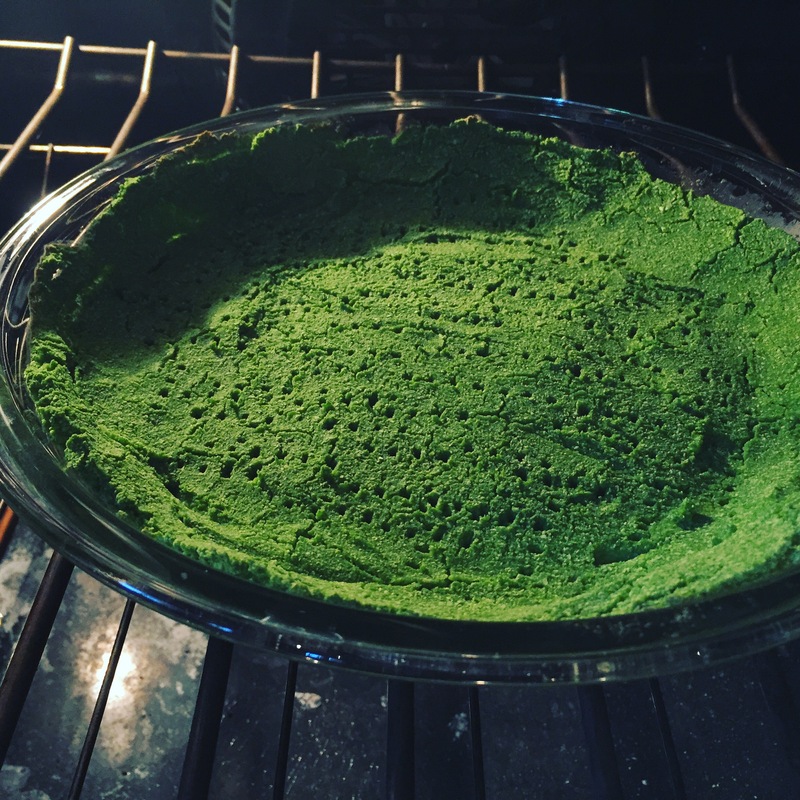 -Bake your pea pie crust at 425 for 14-20 minutes or until the edges begin to become golden and crisp. Let the pie crust cool and fill your favorite quiche or chicken pie ingredients and bake as normal. *I used coconut flour because one of my close friends has celiac disease and I like to come up with new ideas and recipes for her. If you don’t have coconut flour don’t worry, any flour will do.